L’Anse, Mich. (WLUC) – Discussion surrounding the Summit Lake Wind Project continues as L’Anse Township leaders recently passed changes to the zoning ordinance. These recommendations, given by the planning commission, would allow permits to be issued to large wind turbines in forest resource districts. “They are proposing to put at least 49, possibly more wind turbines throughout this 29,000 acre area, which is prime ceded territory where the tribe that I belong to has retained rights to hunt, fish and gather,” said Jeffery Loman, a member of L’Anse Indian Reservation. Loman, along with many other L’Anse community members, are opposed to this project for several reasons. “You have tens of thousands of acres of forest land that will all be impacted,” said Loman. In addition to harming their environment, some believes these 500-ft tall turbines will negatively impact the property values of their homes and cause a significant loss in tourism. “If this project goes through, it’ll be another gigantic industrial area and that is unacceptable from a number of perspectives,” said Loman. There are people in support of the wind turbines being built due to the possible $34 million in taxes the community could gain. But, Mason says this money is not guaranteed. This is all the beginning of the fight to stop the wind turbines from coming to town. 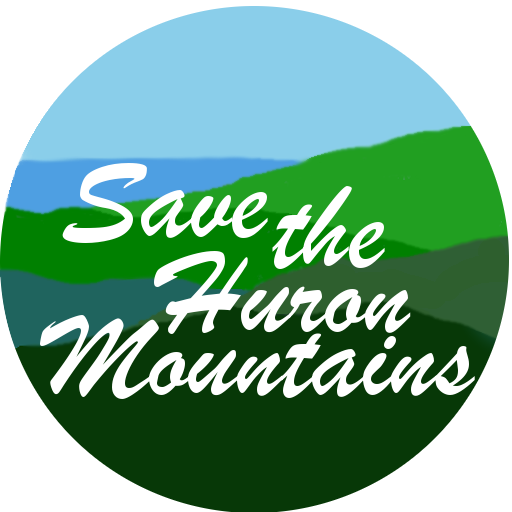 Friends of the Huron Mountain petitioned to have a referendum that will take place on May 7. They encourage people to attend their meetings, learn more information and come out and vote.